Look what the UPS man brought me yesterday. They are Hoosiers branded as Continentals for the Continental Challenge series. 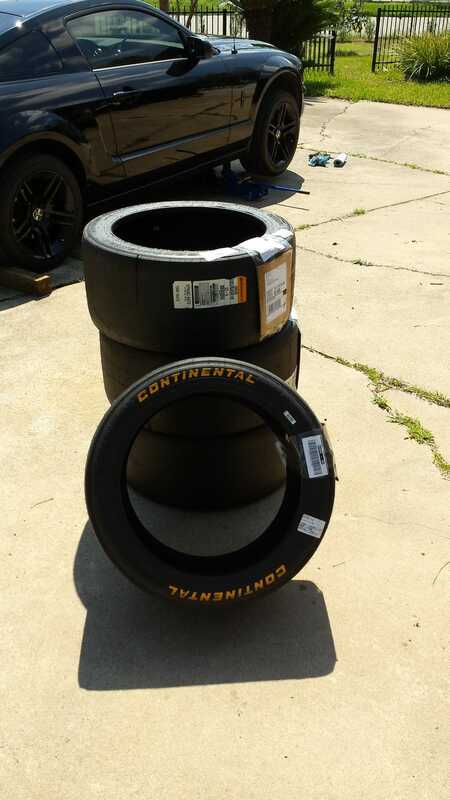 They are discontinued now so they are super cheap, and the perfect tire for me to try out slicks on the car. My wheels should be here today, then I am going to get them mounted and balanced, then get the car aligned, then I am ready for COTA this weekend! !